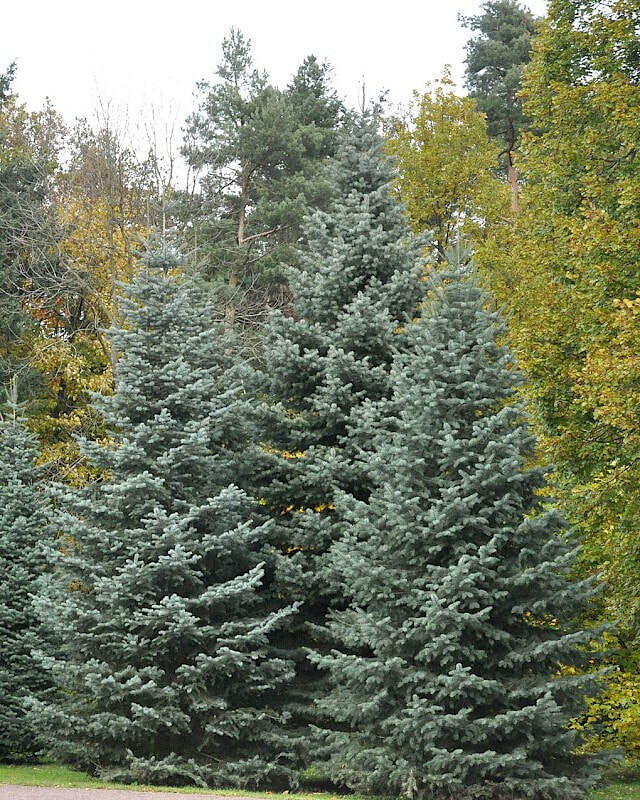 Abies concolor also known as the Colorado White Fir is one of the largest and most spectacular of the Abies species. Its size make it suitable for only the largest gardens, parks and arboretums. The perfectly straight, grey trunk stretches high into the sky and remains smooth for many years. When the tree is older and matured, the base of the trunk becomes corky and grooved. It’s branches are at an almost perfect right angle to the main trunk. The lovely light blue-grey colour of the needles is characteristic of Abies and ensures that this tree is an eye-catcher, especially during the spring time. The sickle-shaped needles are slightly pointed and curled upwards. Upright, cylindrical cones appear during autumn that can be seen with a purplish-brown colour. A.concolor is a tough customer that can withstand prolonged periods of very cold weather. It prefers a neutral to acidic soil that is reasonably free draining, but tolerates a wide range of conditions. Fully hardy.